I am a proud birth center midwife. I feel that birth issues are human rights issues and fighting for birth center rights translates to supporting both the rights of our families and midwives. As such, I have dedicated much of my time and energy to working behind the scenes to ensure quality midwifery and birth care and access. Mountain Midwifery Center (MMC) has proudly been standing here in Colorado for over 10 years. We are the oldest free standing birth center in the state and have been blessed to see the growth of birth centers around us in the last few years. One of our dreams is to see all CO families have access to the type of care that birth centers provide. As we could never meet the needs of all families alone, more birth centers are needed in our communities. Often times, I have had people be surprised by this…surprised that we welcome more centers, thinking that we would view them solely as competition. This is just not the case, I choose to operate from an abundance mindset, not a scarcity mindset. We are but one center and our state is large, more birth centers are needed! I believe that a “rising tide floats all boats” and the more birth centers there are, the more people will hear about them and consider using one. Mountain Midwifery Center also has a history of working behind the scenes to help affect these changes. We were instrumental in ensuring that each and every birth center in the state has the option to work with and accept Medicaid. Our owner, Joel Ryan and myself play key roles in the national work that is done by the American Association of Birth Centers; work that is important, time consuming, and 100% volunteer. We are the only birth center in the country that has a dedicated Director of Research in Heather Thompson, PhD. We are passionate about using constantly collected data to highlight the benefits of birth center care and stand up for change in our maternity care system. Across the country, birth centers are regulated in various ways. Some have state regulations and some do not. In CO, birth centers are regulated and licensed through the Colorado Department of Public Health and Environment (CDPHE). Regulations through CDPHE were written in the early 1980’s and have not been updated since then despite many request by us at MMC. We were told each time that ‘it wasn’t in the budget’ and we ‘were not a big enough market’ to be added to the budget. Essentially, we were being told our families did not matter enough and frankly we refused to accept that answer! With the values and goals of MMC in mind, and the growth of more birth centers in the state, I approached the new centers with the prospect of forming a coalition. Our goal would be to demand that the state finally open and update our regulations. At that time, the other centers were Bloomin’ Babies in Grand Junction and The Birth Center of Boulder in Boulder. Both centers enthusiastically agreed and the Colorado Birth Center Coalition (CBCC) was born. We started with regular group meetings to define our goals and working process. Next, we hired an attorney, Indra Lucero Esq. to file a petition to have the regulations opened. Finally, with the combined power of our group and the law behind us, CDPHE agreed to open the regulations for review and update! 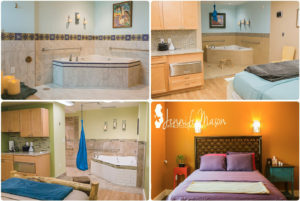 Since then, as new centers have opened they have each been invited and we were happy to welcome the Denver Center for Birth and Wellness in Littleton to our group earlier this year. The CDPHE revision process started this past August and it has been a true labor of love to work through. Members of the CBCC, our attorney and many other stakeholders have been meeting each month to work through the process. I am so proud of everyone who has helped along the way to make this possible. We are not done, and this process will be ongoing through September of 2017, but it has at least started! All of the meetings are open to the public but there will be meetings this Spring that are specifically geared to consumer involvement. These are where we would love to have families present to speak about the benefits of birth center care in their lives. This is an exciting time for all of us in the CO birth center world. The opening and renewal of the regulations will allow us to practice even more fully as independent midwifery lead organizations and appropriately define our scope of practice and eligibility requirements. The CBCC has partnered with the consumer advocacy group, Elephant Circle to organize our consumer base. If you are interested in becoming involved please contact them!